The Petrie Out campaign, backed by the Hibs Supporters Association and affiliated organisations, will go ahead with their rally outside Easter Road on Saturday. The group had asked permission to use the East Stand however this was denied. 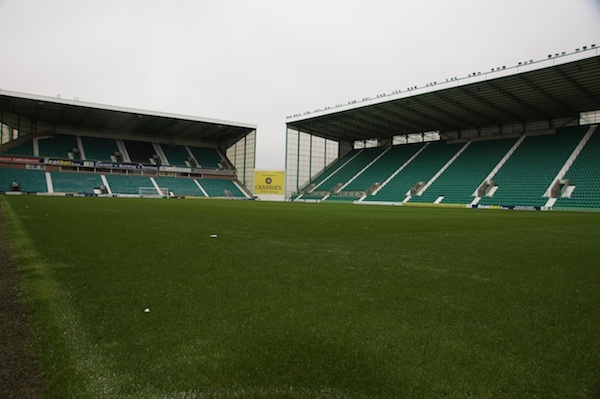 Other locations were then considered by the organisers, but due to fan demand the rally will now be held outside the West Stand at Easter Road. Rally organisers have consulted the police and the City of Edinburgh Council about arrangements for Saturday. Paul Kane, campaign spokesperson, said: “Due to fan demand we will hold the rally at Easter Road. We considered other locations, such as Meadowbank Stadium after the club knocked us back. “But due to a groundswell of fan demand we are going ahead with Easter Road. That is what they want so that is what we will do. It’s all about the supporters. “We have already spoken to the poIice and the council and will continue to do so. We want it to be a day to celebrate our club, our support for it, the good name of Hibs and the change that is needed. Fans are asked to gather outside the West Stand from 11am onwards. Speakers will be announced by Friday.